In some cases growers prefer to use plastic pots instead of plastic bags. For those growers we have developed a series of products which are different in size and material structure to meet all the demands of the grower. 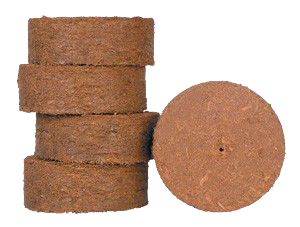 There are different sizes and material structure of Grow-Disks starting from 13 up to 22 cm diameter. 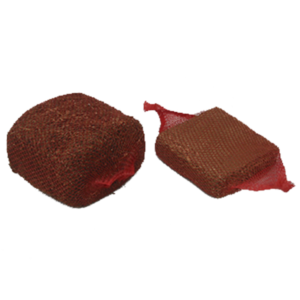 For growers interested in a more mature plant for transplanting, we offer our Grow-Cubes. Grow-Cubes are made of our 16mm double sieved fine fibers, ideal for optimal rooting. The roots will easily penetrate the GrowBag and the plant will continue its smooth growth. 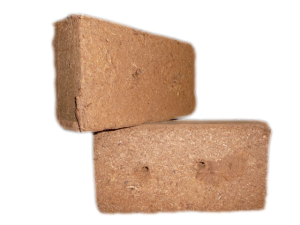 The Coco Bricks are similar to the 5kg bales, but for smaller volume, allowing growers to place them directly in pots or growing bags with volume of 9 liter.